I don't think the bodies are causing it, just a sign it's messed up. My buddies got this straight after completing the intro, lol. 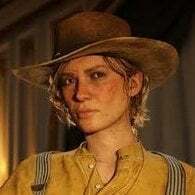 I think we have to accept that the word "beta" means Rockstar knew this was going to happen, and until they lift the "beta" tag it's going to be a hit and miss experience, plus all the regular players piling on board this Friday and over the weekend, which is going to drag it down even further. Be patient, rank up a little bit, learn the ropes and structure of the game, and play other online games while they sort everything out. Not much else we can do. ^^ Yeah, endless spawning objects is actually one of the ways cheaters crash your PC in GTA Online--so that makes sense. Could be the same that I got last night... crashed my game three times until I gave up and went on GTAO for a bit instead. Submitted video footage and all that, hopefully it’s fixed soon.. I got this error at least 5 times today, and sometimes it was during missions. This error should be a top priority for Rockstar to solve as no body likes to have their progress and time wasted multiple times. This hits hard when you are just about to get some enjoyment from hunting. So far i get this error only in freeroam but often. literally unplayable for me. I get the error code with a bunch of 0s.. first it seemed at ramdom.. 10 to 20min.. then 5 to 10 min.. now its every 1 to 5 min.. sometimes I dont even get into a lobby. I just turned it off and now playing assassins creed Odyssey. not gonna play again until there's an update. All we can do is report bug whenever this happens. If not rockstar, then Sony MUST do something, when they get 1M bug reports.. right? My thoughts. Just like the message trolls, send it all to Sony too, they do far more. (Especially those message tough guys). A user on youtube suggested, to turn off boost mode, if you're on PS4 Pro. Apparently, that fixed it for him. Will give it a try now. Edit: 15 minutes in and it crashed, glorius. Guess i'm not playing this weekend. Iv not got boost mode, now what? 🤷‍♂️ 3 crashes in 15 minutes. There is nothing you can do, other than wait for Rockstar devs to fix this. Im sure they have been sent this message a million times. LOL nothing helps, i initialized ps4 ( dont do it, it took me 4-5 hours) reinstalled game, deleted my character in online. Its server issue. Today iam getting disconected from R* servise message only. It’s honestly a bit embarrasing that that’s the ”fix” Sony and R* is trying to make us do. The problem is obviously not on my end, stop trying to push the blame on us, man up to your mistakes and make your goddamn software function properly!! I know that it’s a beta, and I know that we can expect things to be a bit wobbly. That’s fine. But don’t say that it’s up to us to fix it when the problem is clearly on your side. PS4 Pro, UE edition owner. I am pretty sure it didn't crash when I had access, but I didn't have the time to play for long. One or two days later I keep getting it constantly, anything between 2 and 10 minutes. At this time I am 99% sure it is Rockstar's fault. Played and finished story and other games without problems. Seems an awful coincidence to get errors just 2 days after I play a Beta. Stopped playing for the time being and waiting for this sh*t to get fixed.